What Exactly do you Need to Create a Fantastic Video Game? There are some video games that make game development look like such a simple activity. Well, actually it is a very simple task as long as you know exactly how to go about it. Consider games like Flappy Bird, they are so simple but they can keep you up all night trying to reach a certain target. Such games fly out of the app stores without trying so hard. 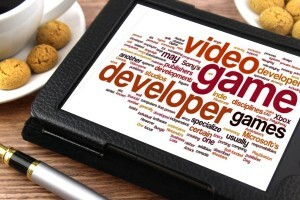 The only thing that you need to do is take time to plan the game development process and you will be sorted out. Many are the people who want to create games without thinking them through. Just like with any other project under the sun you will have to plan for game development carefully. This means everything from the storyline, graphics, animations and the platform that the game will be available on. These are factors that have to be considered properly if your game is going to be a good performer on the app stores. It is one thing to plan and dream about how great your game is going to be. However, there is a big difference between dreaming about creating a game and actually creating one. It is about time that you woke up from your dreams and then proceed to execute the game plan. This is where you will find out whether your game is going to be a trendsetter or it is going to bore people. During the implementation process you will have to develop the codes that enable certain activities to take place in the game. As you do this you will find out what will work and what will not. The worst mistake that you can make is to give the players to test the game for you. This is one way of messing with your popularity on the app store. Test the game yourself and find mistakes that you could have made. Ask your friends or select a random person to play the game and get their opinions as well. This is the best way to create something fantastic. Once you have planned, developed, tested and corrected the game and you are sure that it is great then you can toss onto the app store to be downloaded. Only a little bit of marketing will be needed if the game is super great. Good news always travels fast and if you have a good game then that is great news for many people around the world. Michael Collin is a software developer and animator. He studied in one of the best schools for animation and has used this training to develop some really awesome video games that are available on various mobile platforms. This entry was posted in Technology by ryan. Bookmark the permalink.